The Inventions Arena draws out the curiosity and inventor in every one of us, and it’s a must-visit area for everyone at the Tullamore Show. This year a total fund of €2,500 in prize money was up for grabs, provided by three sponsors; the Farming Independent, WR Shaw, and Glenngorey Pumps Ltd. The inventions at Tullamore are usually borne out of necessity on farms. The people I met all had an infectious enthusiasm in the search for the perfect invention. This year the standard was noticeably higher, with strong farm safety and labour-saving flavours to the inventions that did well. Judges I spoke to at the show commented on the professional presentation of the inventions, with some of the designs already patent approved and ready for market. First place in the Inventions in Home and Leisure category went to Lurgin, Co Armagh man Falkiner Small for his Hammer-less Staple idea, known as The Gaffer Staple. Falkiner’s idea allows you to fasten wire without the need for a hammer, making fencing a simple single-handed operation rather than a two-man job. 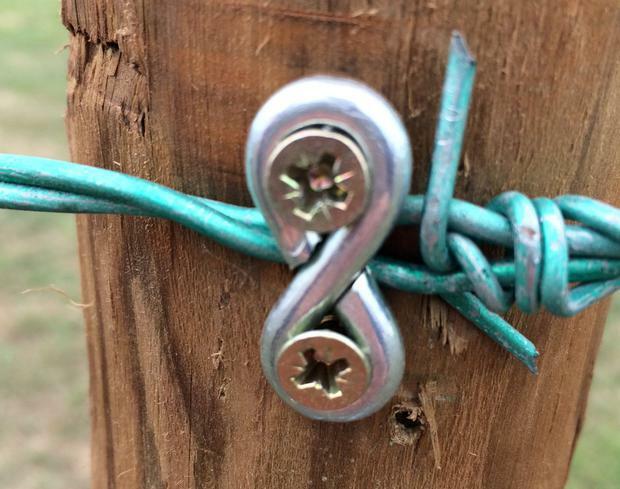 By using a battery-operated drill, a magnetic screw holder, a pozi-drive screw and a Gaffer Staple, fencing jobs can be done in double quick time.